An icon in the cigar world, the beloved Montecristo brand has taken steps over the last few years in an effort to stay relevant in a fast-paced, modern cigar market. With recent releases such as the acclaimed Montecristo Epic, the brand has made it clear that they are determined to deliver a top quality product. 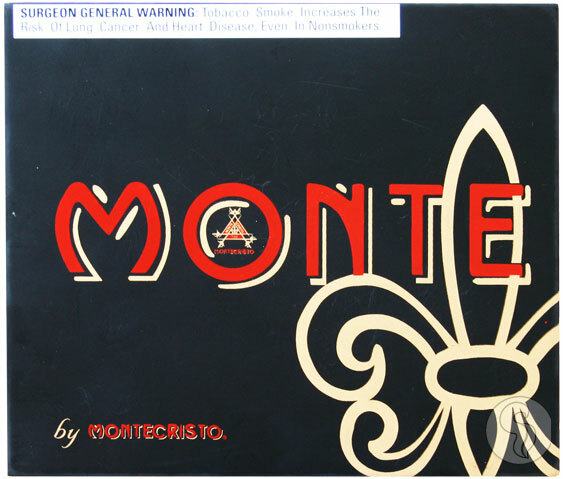 Introducing the Monte by Montecristo, a modern twist on a legendary smoke. Nicaraguan Corojo and Dominican Olor binder leafs encompass the aged, Dominican filler tobacco, giving strength and complexity to this big smoke. To cap it off, the cigar is wrapped in a dark, Ecuadoran Habano wrapper, making the Monte the most powerful Montecristo cigar to date. Give this cigar a try and you may just find your new go-to smoke.